Christopher Hitchens revelled in doing battle with political and religious foes, but all his debating and writing skills proved no match for the most intimate and lethal enemy of all, and so the oesophagal cancer that had breached his bodily defences in 2010 killed him last December. Not that he had any time for the combatively upbeat notion of somehow fighting the disease. In this collection of pieces (written for Vanity Fair) on his illness, he wryly notes that the “battle” against cancer may be “one of the most appealing cliches in our language” but “you don’t hear it about long-term sufferers from heart disesase or kidney failure”. He demolishes other cliches, too, not least the Nietzschean mantra that “whatever kills you makes you stronger”. This phrase he once thought profound, though not when he fell ill: “In the brute physical world, and the one encompassed by medicine, there are all too many things that could kill you, don’t kill you, and then leave you considerably weaker”. The book, as you can see, is never less than quotable and is often very funny, which is remarkable given the circumstances – debilitating chemotherapy and frequent pain – under under which it was written. I especially liked his dry observation that “when you fall ill, people send you CDs. Very often, in my experience, these are by Leonard Cohen”. He’s amusing, too, on the need for what he calls “cancer etiquette”, which would stop uneasy well-wishers from making such fatuous remarks as “If anyone can beat this, you can” and would prevent intimates from being too direct, as when someone inquired if he was afraid he’d never see England again – shocked by his friend’s all-too perceptive bluntness, he muttered to himself “I’ll do the facing of hard facts, thanks”. And then there were those people who either gloated in his misfortune as a punishment from the higher being whose existence he had always denied or, more charitably, prayed that he’d recant his atheism. But in the second of the pieces reprinted here, he vows to “continue to write polemics against religious delusions”. As it happens, Hitchens’s vehemently declared atheism was always one of his least attractive traits. Indeed, while many of us share the views of Hitchens and his friend Richard Dawkins on the absence of a creating and controlling divinity, the contemptuous dogmatism with which their disbelief has been expressed has always seemed just as absurd (not to mention intolerant) as that of the most credulous and proselytising believers from whatever religion. In fact, reading this necessarily slim book and rereading his huge 2011 collection of essays, Arguably (which has just been reprinted) makes one wonder how enduring his contribution to public discourse and to journalism will prove to be. In one of the essays from Arguably, he writes half-facetiously but certainly half in earnest about being at a dinner where he was “at the very peak of my form as a wit and raconteur”, and in Mortality he frequently laments the decline of his speaking voice and thus of the conversations and arguments which were his life-blood. However, aside from his famous friends and hangers-on, most of us were never privileged to be dazzled by him in this way and thus must rely on his printed works in order to make an assessment of him. And it must be said that much of what he wrote in the political sphere has already dated badly, not helped by a hectoring, indeed often bullying, tone that brooks no dissent. To put it briefly, he was no George Orwell, who evinced a sympathy for human fraility and a depth of insight into behaviour, both political and personal, that were quite beyond Hitchens. 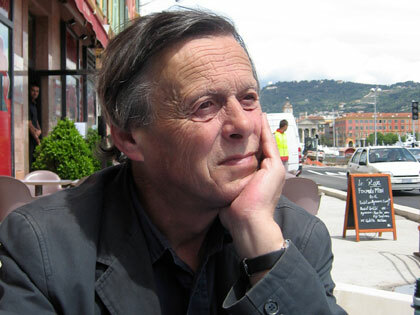 Indeed, and somewhat ironically for a man who loved the idea of himself as a contrarian, Hitchens was usually at his best when he was praising – some of the finest essays in Arguably are those on such favoured writers as John Buchan, PG Wodehouse, Rebecca West, Anthony Powell and Philip Larkin. In the end, as the pieces in Mortality reveal, he approached death bravely, which seemed to be important to him, though his beloved Larkin had already pointed out that “being brave/Lets no one off the grave”. And he received much posthumous praise for his courage, even though every minute of the day, all around the world, people are dying courageously, too, if not amid the glare of publicity that Hitchens always craved and commanded. Previous post: New Ways to Kill your Mother: Writers and Their Families. By Colm Toibin.